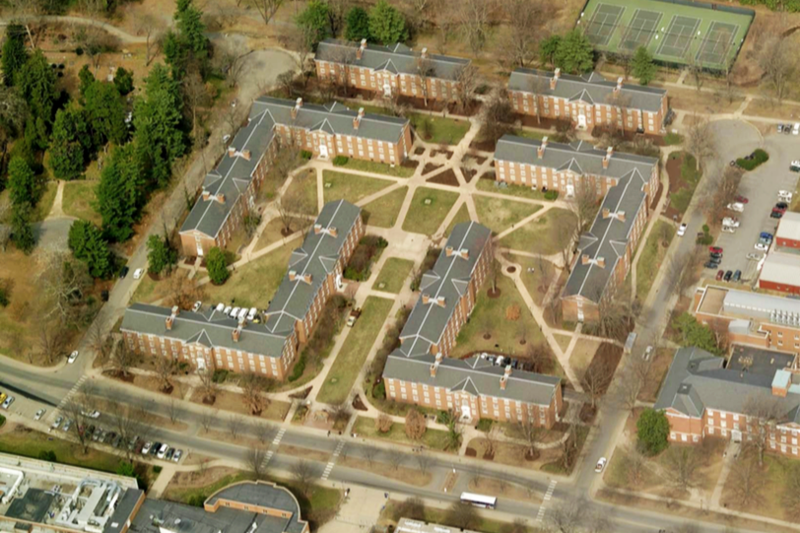 Construction Projects | Housing and Residence Life, U.Va. We are continually identifying and pursuing renovation projects that will improve operations, comfort, and access in older housing, as well as construction projects to expand our housing inventory. Clark Nexsen is the architectural and engineering firm selected for the renovation project. The McCormick Road Residence Area is comprised of six four-story residence hall buildings (containing 10 houses) totaling 400,000 gross square feet. The current structures were designed by Eggers and Higgins (designers of New Cabell Hall, the Physics Building, and Newcomb Hall) and constructed between 1946 and 1951. The McCormick Road Residence Area opened to students in 1955. Current and former residents have indicated a strong desire to renovate the current structures rather than demolishing the existing facilities and building new ones. Please click the thumbnails below to see floor plans for the houses currently under renovation. Please contact us with any questions about the McCormick Road project. 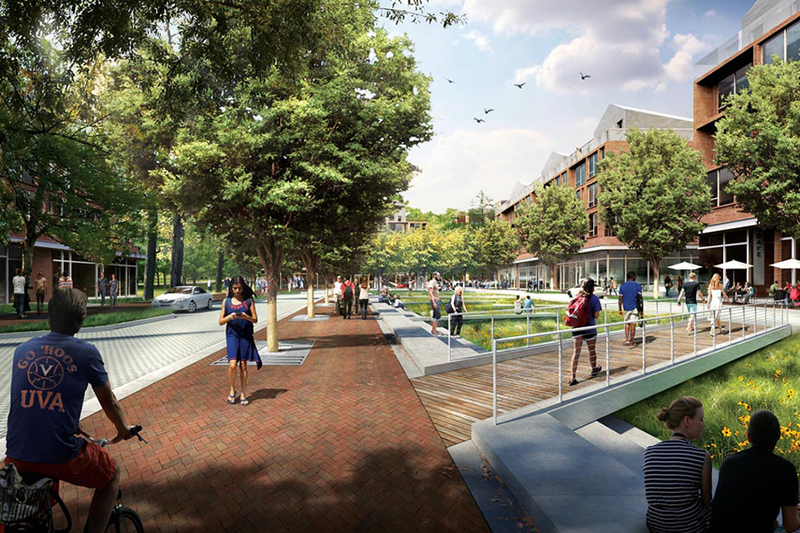 Defined as a redevelopment zone in the 2008 UVA Grounds Plan, Brandon Avenue is poised for transformation into a vibrant, mixed-use, sustainable district that links the UVA Health System to Central Grounds. A multi-year, multi-phase construction project will improve the streetscape and provide new academic, student services, and residential spaces. 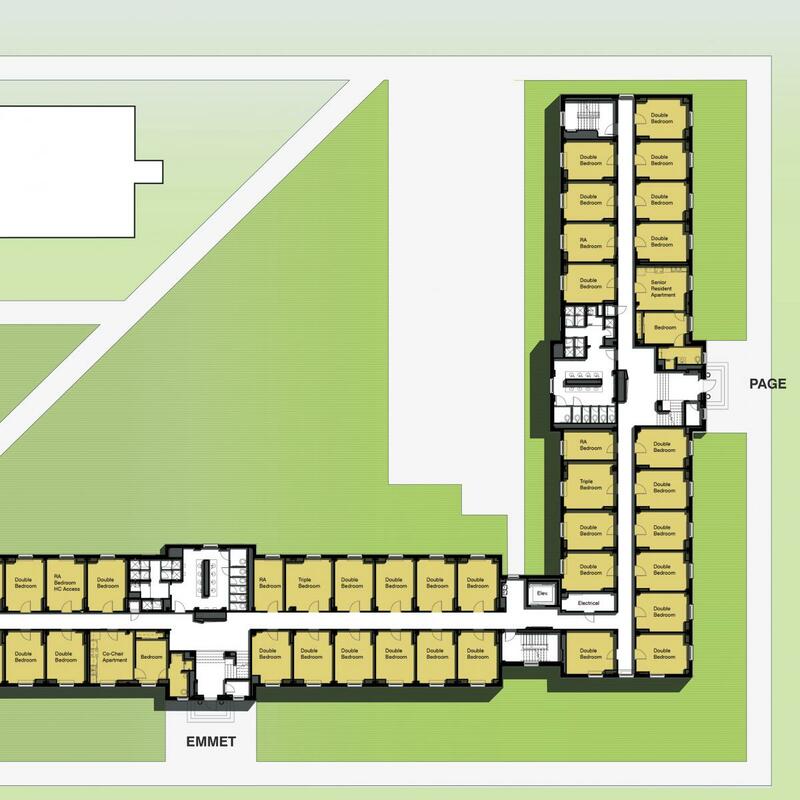 Plans include a new residence hall and a new student health center, as well as the development of Brandon Avenue into a "Green Street" - a one-way loop with a landscaped bioretention area and gathering spaces in the center. An "active ground floor," inspired by urban retail streets, considers ground floors of all buildings on Brandon Avenue as a continuous ribbon of diverse, dynamic uses that activate the street at all times of the day. Goody Clancy is the architectural and engineering firm selected for the project. The goal is for Bond House to be occupied in 2019. Demolition of the existing buildings at 500 and 600 Brandon Avenue began in Summer 2017 and continued into the fall semester. Residence hall and utility infrastructure construction began in November 2017. Crane work to raise the structure of the new residence hall, and both exterior and interior work, will be underway through the 2018-2019 academic year. Demolition of the 400 block of Brandon Avenue, improvements to the streetscape, and construction on the new student health building (500 block) will also take place during the 2018-2019 academic year. Please contact us with any questions about the Brandon Avenue Residence Hall project. The second Brandon Avenue upperclass residence hall will provide between 300 and 400 additional beds and approximately 100 parking spaces on a site north of Bice House and Bond House (the first Brandon Avenue residence hall). These apartment-style residences will offer single rooms and amenities comparable to off-Grounds housing options. 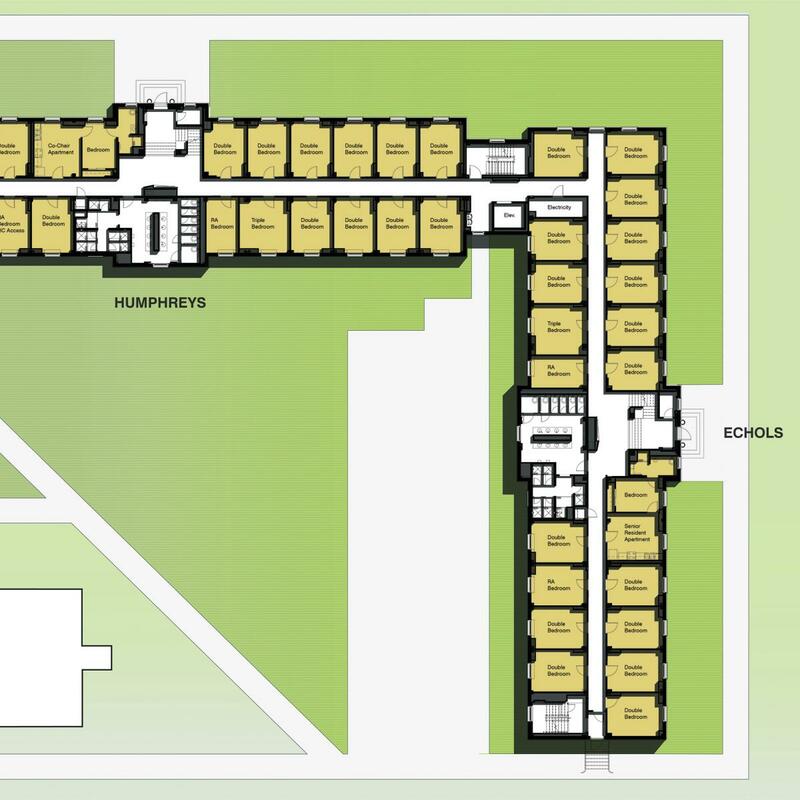 The Brandon district will support the development of upperclass housing in an ideal location on Central Grounds, strengthening the University’s distinctive residential culture. Elkus Manfredi Architects is the architectural firm recommended for the project.